Awesome Rankings for MAcc program! The University of Scranton online master’s in accountancy program (MAcc) ranked No. 1, No. 3, No. 4 (twice) and No. 7 in five separate 2019 “Best Online Programs in Accounting” lists. Best Colleges ranked the University’s program No. 1 in the nation in its ranking of the “Top 25 Programs for a Master’s in Accounting Online for 2019.” The list by Best Colleges, an independent college information website, equally weighted information on a school’s admissions rate, student loan default rate, retention rate, graduation rate and the percent of students enrolled in online classes, to determine its ranking. 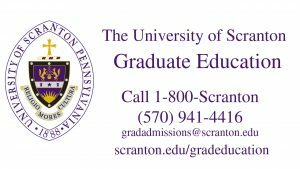 Master’s Program Guide ranked Scranton No. 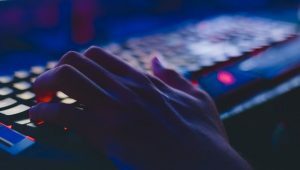 4 list of the “50 Best Online Master of Accounting Degrees.” The methodology used by the online college information source first looked at top programs recognized in sources such as U.S. News and World Report, the U.S. Bureau of Labor Statistics and the Association to Advance Collegiate Schools of Business (AACSB). The publication then ranked the schools based on affordability (25 percent), accreditation and commendation (25 percent), student satisfaction and support services (25 percent) and online accessibility (25 percent). Accounting Degree Review ranked Scranton No. 4 in the nation in its list of the “Top 50 Online Master’s Degrees in Accounting.” According to the online information source for prospective accounting and finance students, the 2019 ranking is based on publicly available information regarding reputation, prestige, student satisfaction, affordability and value. College Choice ranked Scranton No. 7 in its “Best Online Master’s in Accounting” list. The ranking by online college search source only included accredited institutions. The University’s Kania School of Management holds accreditation by the rigorous standards of AACSB International. Schools were then ranked based on quality factors (20 percent), such as graduation rate and faculty credentials; reputation (20 percent), based on the school’s ranking in US News, Financial Times and other sources; affordability (20 percent), based on net price calculation and average student loan size; value (20 percent) based on a return on investment (ROI) score; and satisfaction (20 percent), based on retention and reviews logged on Rate My Professor, Niche and other online sources. In addition, Online Schools Center, an online college information source, listed Scranton among the “Top 15 Online Master’s of Management Accounting.” Schools were not ranked in the listing of just the top online accounting programs in the nation. The list was determined based on program criteria (50 percent), such as the percentage of the program that can be completed online and retention rates; ancillary services (30 percent), such as career services and post-graduate career placement; and school criteria (20 percent), such as accreditation and other recognition. Scranton offers online master’s degrees in accountancy, finance, health administration, health informatics and human resources, as well as online MBA degrees in general business, accounting, enterprise resource planning, finance, healthcare management, human resources, international business and operations management; and a dual MBA/MHA degree, in addition to graduate certificates. For technology, recruitment and marketing support, the University partners with Wiley for the online programs. Click here to learn more about the MAcc programs at The University of Scranton! 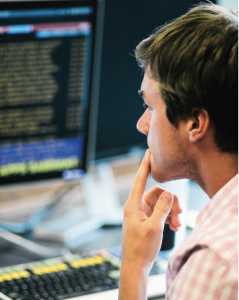 Students contemplating a career in accounting may be wondering which career path is right for them. Students often take one of two careers paths: a Master of Business Administration with a focus in Accounting, or a Master of Accountancy. An MBA with a focus on accounting provides graduates with a variety of job opportunities upon course completion. For those who aren’t sure which field they want to pursue, or who may want to change roles later on, this degree provides that flexibility. Considering the vast array of knowledge gleaned from an MBA, a graduate can fill many roles within a company. A growing number of businesses require their employees to “wear many hats,” to which this degree lends itself. The online Master of Accountancy program at Scranton offers a challenging curriculum that provides students with a deeper understanding of accounting skills, practices, and theories. Coursework isn’t a broad patchwork of accounting techniques, but a series of in-depth courses that build a foundation for comprehensive and insightful learning. Students have the ability to customize their programs and take courses that focus on a specific area of accounting such as taxation or fraud. An increasing number of companies are looking for job applicants with tailored accounting skills, meaning graduates with deeper knowledge of special topics don’t just stand out in a pool of candidates – they’re sought after. To obtain a career in accounting, many graduates decide to take licensing exams in a specialized field. The coursework involved in the Master of Accountancy program better prepares graduates to take exams such as Certified Public Accountant, Certified Fraud Examiner, or Certified Management Accountant. If the goal is to work at one of the four biggest accounting firms – KPMG, PricewaterhouseCoopers, Ernst & Young, or Deloitte, completing the Master of Accountancy is the right career choice. 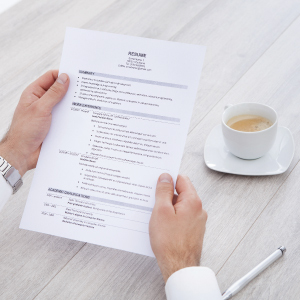 The Big 4 look for candidates with high-level skills, advanced degrees and licenses. The MBA and the Master of Accountancy lead to high-paid employment in the accounting field, with the skills necessary to negotiate a higher salary and better benefits. Both paths offer qualifications that are valuable to an employer and show a level of commitment and skill that’s in demand in today’s workforce. To learn more about an MBA in Accounting at The University of Scranton, click here.